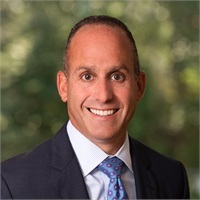 Doug Reiss serves as The Bulfinch Group’s Director of Talent Acquisition, a position vital to the firm’s growth and expansion. Doug’s progressive talent acquisition practices identify and attract uniquely-qualified candidates to the firm. Prior to joining The Bulfinch Group, Doug served as Field Director of Agency Growth for The Guardian Life Insurance Company of America. A graduate of the University of Massachusetts Amherst, Doug resides in Holliston with wife Dina, and his daughters Elexa and Brooke.